Lyle E. Williams entered his heavenly home from Peabody Retirement Community in North Manchester, Indiana at 6:20 a.m. on Wednesday, January 30, 2019. He was born on August 30, 1927 in a farmhouse near Page Nebraska to R. Davis Williams and Eva Etta (Trowbridge) Williams. He married Shirley Bosell on September 2, 1951 in the First Baptist Church in Salem, Oregon by the Rev. LLoyd Anderson. Lyle was a World War II Navy Veteran, having served aboard the USS Harwood and honorably discharged in 1946. He was a graduate of Seattle Pacific University, Seattle, Washington and Asbury Theological Seminary, Wilmore Kentucky. He was an ordained minister in the Free Methodist Church of North America. The family moved from Oregon to Winona Lake, Indiana in 1960. Lyle served as Editor of Sunday School Curriculum for adults at the Free Methodist Publishing House for 31 years. He also taught Sunday school and served in youth programs at the Winona Lake Free Methodist Church. He loved all sports having participated in track and basketball. His children all swam at the YMCA and Warsaw High School teams. They knew Dad would be there cheering them on as well as working with the other parents at the meets. Lyle will be dearly missed by all. 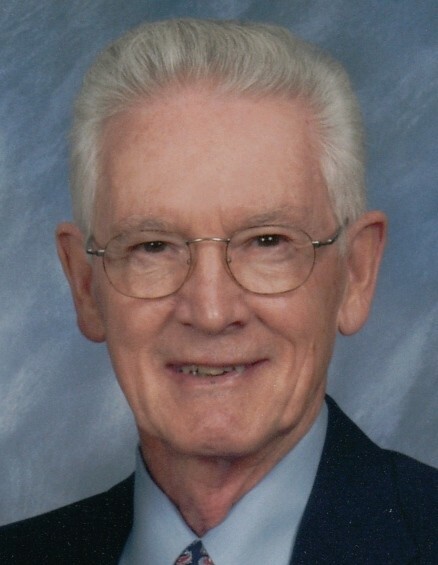 He will be lovingly remembered by his wife of 67 years, Shirley A. Williams (North Manchester, Indiana); son: Dale Williams (Punta Gorda, Florida); two daughters: Karen (David) Overmyer (Winona Lake, Indiana); and Diane (Rick) Dobbins (Santa Clara, California). Also surviving are seven grandchildren: Jessi Williams (Tacoma, Washington); Jami Williams (Oakland, California); Kristin (Adam) Harp, (Warsaw, Indiana); Kyle (Dianna) Overmyer (Carmel, Indiana); Kelly (Isaac) Harp (Winona Lake, Indiana); Laura Ann (Joe) Cobb (Camp Pendleton, California); Eric (Nicole) Dobbins (Fort Worth, Texas); eight great-grandchildren; sister, Velna Stewart (Oregon); sister-in-law, Altha Lou Bosell (Washington); and many nieces and nephews. He was preceded in death by his parents and two brothers-in-law, Roland Stewart and David Bosell. Private burial will take place at Oakwood Cemetery, Warsaw, Indiana. A memorial service will be held at 11:00 a.m. on Friday, February 22, 2019 at Winona Lake Free Methodist Church, 902 College Avenue, Winona Lake, Indiana and officiated by Pastor Rick Nier. Memorial donations may be made to Winona Lake Free Methodist Church, 902 College Avenue, Winona Lake, Indiana. 46590, or Peabody Home Foundation "Caring Circle" 400 West 7th Street, North Manchester, Indiana 46962-1199, or to Great Lakes Caring - Hospice, 7030 Pointe Inverness Way, Ste. 230, Fort Wayne, Indiana 46804 and would be appreciated by the family.